There are so many gadgets to choose from, but a large proportion of these become a novelty item that only gets used the once. However, there are many great inventions out there that can simply make your life that little bit easier. No lighter, no tobacco, no fuss. This invention is simply useful; there’s no need to venture out into the cold air when out with friends, and no one will complain about the smoke that clouds your conversation. A fantastic gadget that all smokers shouldn’t be without, you can purchase a simple starter kit to try it out, with a variety of flavours to choose from. Smoking e-cigarettes will never get old. A gadget mat is a perfect accessory for your car. The ability to hold your smartphone, keys and loose change is extremely useful for the commute to work. The discrete pad sits comfortably on your dashboard for easy access; most mats can be cut to the size and shape you require for your car. Even though this gadget just sounds like a novelty item, it has become one of the most useful and timesaving inventions for the modern home. With most offering different modes, the carpets can be vacuumed while you are at work, ensuring your free time can then be used effectively and vacuuming-free. The usually round shaped vacuum can reach difficult areas easily too! This is a great gadget that can help you save money on your water bill. Simply set the maximum time required using the shower into the pebble and place near the plughole. Waterpebble helps prompt the user, with a red flashing light, to understand when they’re being wasteful. Hopefully with the help of this gadget, unnecessary money won’t go down the drain! A great gadget for the fitness lovers, the activity trackers can automatically sync to your computer, ensuring you can easily track your fitness progress and constantly set new goals for yourself. They are the perfect device to help you keep on top of your fitness level, and they are small in size so can discreetly fit into your pocket. 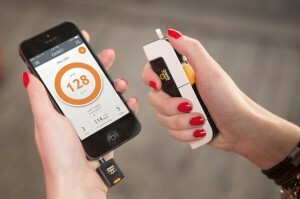 All these gadgets are very useful for daily life but I am more concerned with electronic cigarettes. This invention has already made a boom in the market. It’s illegal to publicly smoke cigarette in some countries but we can easily vape in public place without any offense. waw..very nice and useful gadgets.but E-cigs,waterpebble and Activity tracker are very good and most useful.very thanx for describing these gadgets with everyone.. Cool gadgets with some smart ideas behind them. My friend was talking about something she bought on Amazon, and I think it was an activity tracker. I’m interested in that. I’ve never smoked but will definitely tell my brother about electronic cigarettes because he really needs to quit. Thanks for the information, and I hope to connect with you again real soon. Hello Carol, its really nice seeing you hear, hope you love our site..
you are right, Kingsley really shared with us an awesome post about health gadget. i will really appreciate if you can tell your brother to stop smoking, as it kills faster than some health disease.